He was born in Farish district of Jizzakh region of Uzbekistan, Uzbek nationality, citizen of the Republic of Uzbekistan, education – higher education, he is married and has three children. After graduating from high school in 1958 he was drafted to serve in the ranks of the former Soviet Army. After serving in the army he entered the Voronezh Technical High School, became simultaneously the technical engineer. After going through huge life difficulties and obstacles in 1967 Mamadali Mahmudov joined the journalism faculty of the Tashkent State University. After graduation in 1972 Mamadali Makhmudov worked in various newspapers and magazines, in particular in “Shark Yulduzi”. Since the mid-70s to 1990, he was a member of the Writers’ Union of Uzbekistan. He is the author of prose works, as “Bogdonsky wolf”, “Immortals ideas”, “These mountains – majestic mountains” and others. They are still in Soviet times Mamadali Mahmudov wrote about violence and inhuman policy of the Red Empire. In particular, in the story “Bogdonsky wolf” describes Turkestan 1918, which at that time the army of Tsarist Russia were cast, consisting of ethnic Russian and Armenian. The writer describes how the invaders killed thousands of local, mostly Turkish-speaking residents. Mamadali Makhmudov is the first Uzbek writer of the Soviet period, which, through their works began to call the people of Uzbekistan to independence. They traced the idea of the author clearly that the peoples of Turkestan need to create a national liberation movement. Such activity of the writer could not remain without attention omnipotent Soviet repressive organization – the State Security Committee (KGB). Since the mid-80s began to arrange the KGB interrogations Mamadali Makhmudov. Persecution against the writer did not stop and Uzbekistan gained independence – now the KGB took the baton of the National Security Service (NSS), an independent republic. So, December 30, 1994 Mamadali Mahmudov was sentenced to imprisonment for 4 years in the first part of Article 130 of the Criminal Code. August 9, 1996 was amnestied according to the decree of President Islam Karimov. The second time the writer was sentenced to 18 August 1999, after the events of February 16, 1999, when Tashkent was implemented terrorist acts. Although Mamadali Mahmudov has pleaded not guilty and denied all the trumped-up charges, the court sentenced him to imprisonment for 14 years under Article 25, Part 4 of Article 159, Article 216 and the first paragraph of Article 242 of the Criminal Code. Today Mamadali Makhmudov is serving his sentence in a colony of Chirchik, Tashkent region. Uzbek writer Mahmudov Mamadali nominated for “Index on Censorship” in the field of freedom of speech. The London-based international organization “Index on Censorship”, which protects freedom of expression, nominated Uzbek writer Mahmudov Mamadali (creative pseudonym – Avril Turon) at a premium in the area of freedom of speech «Index Freedom of Expression Awards 2016″. This prize is awarded to journalists, human rights defenders, activists and artists who are struggling with censorship worldwide. The international organization “Index on Censorship” will announce names of 16 winners of the award in February this year. 75-year-old Mamadali Makhmudov served in Uzbek prison for 14 years. The writer was arrested 10 days after the Tashkent bombings, which occurred February 16, 1999. Against Makhmudov were accused of involvement in the bombings. Uzbek court convicted the author and sentenced him to 14 years in prison. 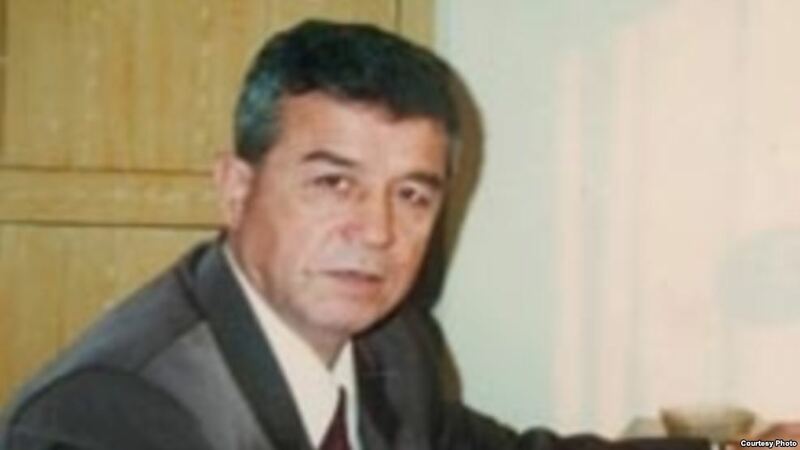 Mamadali Mahmudov was released from prison April 19, 2013. Mamadali Makhmudov is recognized as one of the first Uzbek political scientists, who fought in the Soviet period of the independence of Uzbekistan. His historical novel “The Immortals Cliff” was banned in the Soviet era. This novel was published in French publishing house «L’AUBE». In 2008, this publishing house and the translator of the novel Philippe Frison announced share Makhmudov support calling for his release.